Our guides are very experienced and our horses are trained by our horsemen who grew up with horses. However horse riding presents risk and by traveling with us you need to understand and accept the risks involved. On some of the horse treks you might be hours or days from the closest medical facility. Accidents on our horse trek are rare but you will have to wear a helmet, which we will provide, for your safety. As Mongolia is at a high altitude with a lot of sun, another risk is dehydration and sun strokes. This can be prevented drinking enough water, wearing sunscreen, sunglasses and, if you have a sensitive skin, long sleeves. Bring insect repellent for mosquitoes. For people traveling in spring we highly recommend tick repellent and to check your body every evening before going to bed as there is a risk of Lyme disease and encephalitis. Do you have nice horses? What are they like? Mongolian horses are smaller than most European horses but they are strong and sturdy and ideal for traveling long distances. We have a variety of horses suitable for total beginners or advanced riders. We provide Russian-style saddles which are comfortable over long distances. If you are uncomfortable with or scared of your horses don’t worry and let us know! We have plenty horses and our horseman will be happy to find a suitable one for you. Please bring warm clothes, a waterproof jacket and sturdy shoes. Long pants are required – jeans or other heavy pants are a good choice for being in the saddle. Bring a headlamp/torch/flashlight. Take sunblock, sunglasses, and hat. Definitely bring your camera, but don’t promise to send photos. Most people have no fixed address, and even in those who do have an address don’t have a mailbox. For people booking a trek with us we will provide a list of the equipment to bring on trek. 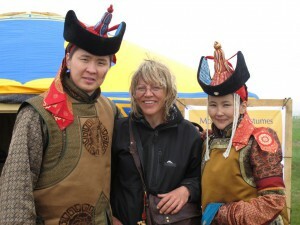 The weather in Mongolia is dry, sunny and beautiful. The warmest months are June, July and August. Before and after that, night can be fresh and days windy so bring warm clothes. 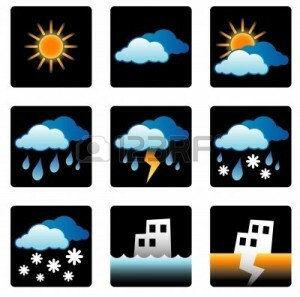 It can rain, but it usually does not rain for a long time. The sun shines frequently in Mongolia – we average 260 sunny days per year. It will definitely be cooler and more windy up on the mountains. At Stepperiders’ ger camp, we have a well that provides fresh drinking water that we use to cook with and boil for tea and drinking. On horse treks, we provide either bottled mineral water or will use well water that we will boil. This depends on where you will be traveling as it will be difficult to carry a lot of bottled water on treks in autonomy. You can purchase more water if you require more than is provided. Other drinks such as beer and vodka can be purchased at the camp or in small villages you will come across on treks. Hot showers can be had at the camp once a day, but hot water is limited. 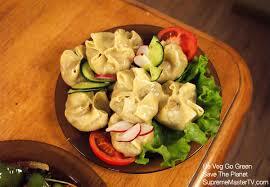 We serve fresh, homemade Mongolian-style food, prepared on site by our amazing professional cook Tuvshuu. While the traditional Mongolian diet is largely meat and dairy, we serve plenty of vegetables, as well as rice and noodles. We also cater for vegetarians at camp and on treks, just let us know. But if you stay with a local family and eat their food, this is usually not possible to eat vegetarian as all family meals are one-pot meals. At camp breakfast is served at 9am, lunch at 1pm and dinner around 6.30pm. On trek this is more flexible. We can accommodate over 30 guests at our site. 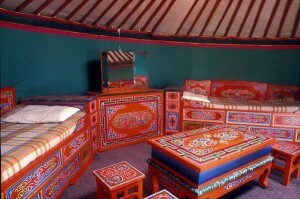 We have 6 traditional Mongolian gers with 4 single beds each and 6 wooden cabins with 3 beds each. A ger is a round tent covered in felt and canvas. Blankets and sleeping bags are provided. Each ger has a stove if it gets chilly at night. We have proper flush toilets that can be used until the water freezes, usually around end of September. In the evenings we have electricity in our big common ger, our big house and the cabins. In gers you will use candles for lighting. Our camp is simple but very comfortable and peaceful. On the trail, we provide tents, sleeping bags and sleeping pads. Your nights will be star-filled but don’t expect a hot bath in the morning. We try to preserve natural resources so we encourage you to go easy on the water usage when showering. I’ve never ridden a horse before – is that OK? There are two things to consider: your experience with horses, and your fitness level. We think it is more important for you to be strong and healthy rather than have a lot of experience riding horses. You do not need to know how to ride a horse before coming to Stepperiders. We will teach you as you go. It helps if you are comfortable and calm around animals. Fitness is more important than specific riding experience. The more exercise you do on a regular basis, the more comfortable you will be on horseback. People who are not very fit will still have a great time, but they can expect some aches and stiffness the next day. Will I be sharing my “room”? You will be sleeping in a ger with 4 single beds. You may be sharing. We do our best to give you privacy, but sometimes we have a lot of people and two or more parties share a ger. On the Naadam trip you will definitely be sharing. Meeting other travelers can be part of the fun! As part of our camp rules we ask people to respect other’s sleep and after 10pm to discuss inside our big ger or big house. We also expect people to respect each other and stay polite at all time. This makes everybody’s experience better! Can I call you last minute and get on a trek? Definitely. We have several horsemen and plenty of horses. Please call or email us to see if we’ve got treks running – we might already have a trek scheduled that you can join. How do I reach your camp? Our camp is at a 40 minutes drive from the airport, a little longer from the city center. But don’t worry we will organise your transport to Stepperiders! We have a free shuttle from the airport to our camp everyday from 8am to 9pm. And we also have two daily free shuttles from the city center (Grand Khan Irish pub) at 8am and 5.30pm. If those options do not work for you, we can send you a taxi which costs 20USD. What activities can we do at Stepperiders ger camp? 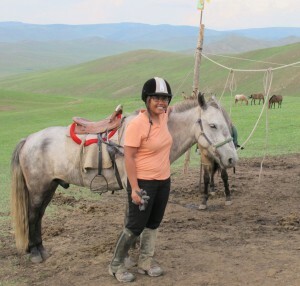 At Stepperiders’ ger camp the main activity is horse riding! We organise daily a morning and afternoon ride which amounts to a total of 4 hours horse riding. On your spare time you can go on a hike in the hills surrounding the camp to see the nature and observe our herd grazing peacefully. We also have a very comfortable outside terrace and a big house with inside sofas where you can relax and read. And we also provide Mongolian archery equipment. This can be done anytime, just ask our staff to give you the equipment. 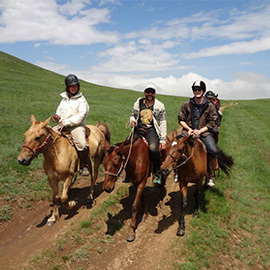 For a supplement we can organise other activities such as private horse riding lessons, horsemanship lessons, trip to Ulaanbaatar for sightseeing or shopping at the Naran Tuul Market and day excursions to Terelj National park or Hustai National park.